I had heard mixed reviews as I headed to Houston with the kids and was not quite sure what to expect of our first Texas stop. What I found was that there was plenty of fun for kids in Houston. 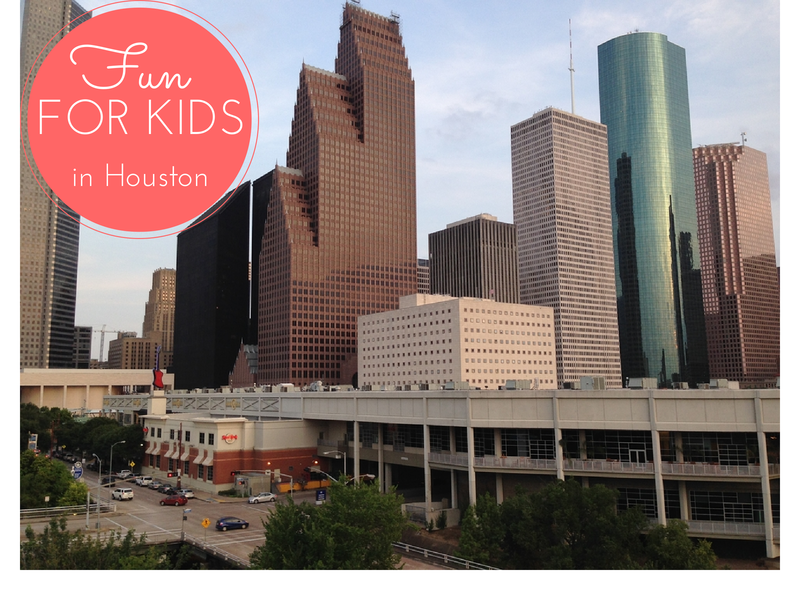 Here are my tips on spending the perfect day in Houston with kids under 6. 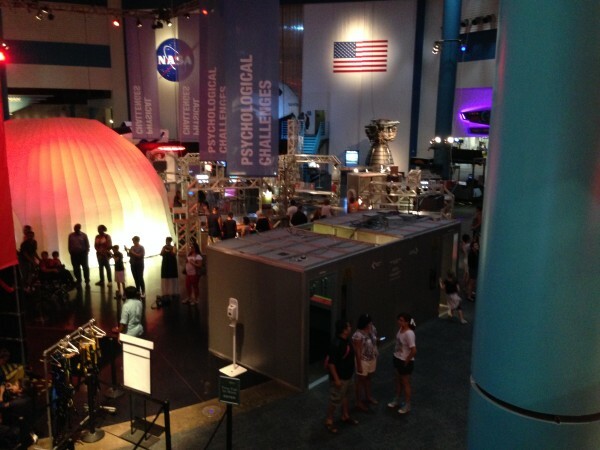 The ultimate place to learn in Houston is the Johnson Space Center. That’s right NASA. The Space Center is one of the coolest things we have experienced on this roadtrip. 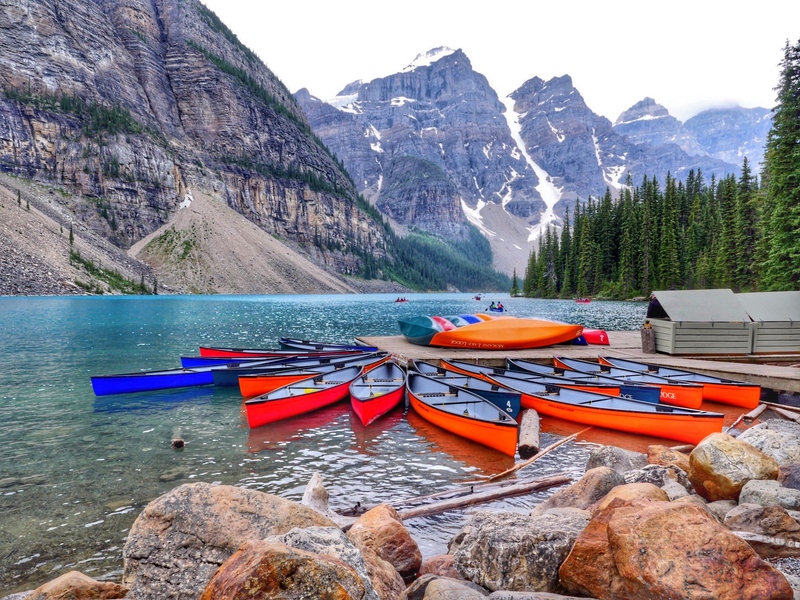 Located about 40 minutes from downtown Houston, it is in a world of its own. Current exhibits include a really great Mars exhibit where you can free fall off a tower as well as learn to walk on mars. My kids were obsessed with the Angry Birds Space exhibit which teaches kids about science using their favourite app and game. Make sure to take the NASA tram tour for a guided tour of the entire facility. Try not to crack a “Houston we have a problem” joke. Tip: Arrive early to the space center and head directly to the tram tour. The line gets quite long later in the day. Arguably the NASA Space Center is play time but when your kids are ready for a little less structured learning head down to our favourite attraction, the Children’s Museum of Houston. As someone who sees a LOT of children’s museums, I find it hard to differentiate between most of them. This was not the case in Houston. This museum was awesome. Kidtropolis,USA at the museum is a must see. Like a lot of other children’s museums, kids get put to work in different jobs like mail carriers, restaurant owners and veterinarians. The difference in this exhibit is that kids get paid for the jobs they do and are given debit cards to deposit earnings and take out money for expenses. 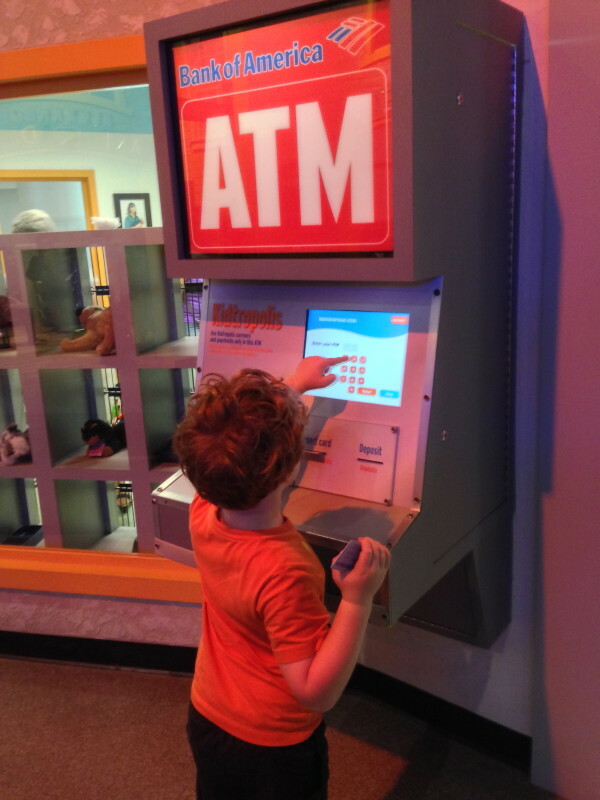 Spending an hour in the exhibit gave my kids a new appreciation for the money we make and spend. The Powerplay exhibit in the museum could actually be a children’s museum on its own. Kids use machines to record their heart rates and then participate in physical challenges and fun games to show them how to stay fit. The best part of this exhibit is a giant climbing structure made of discs. 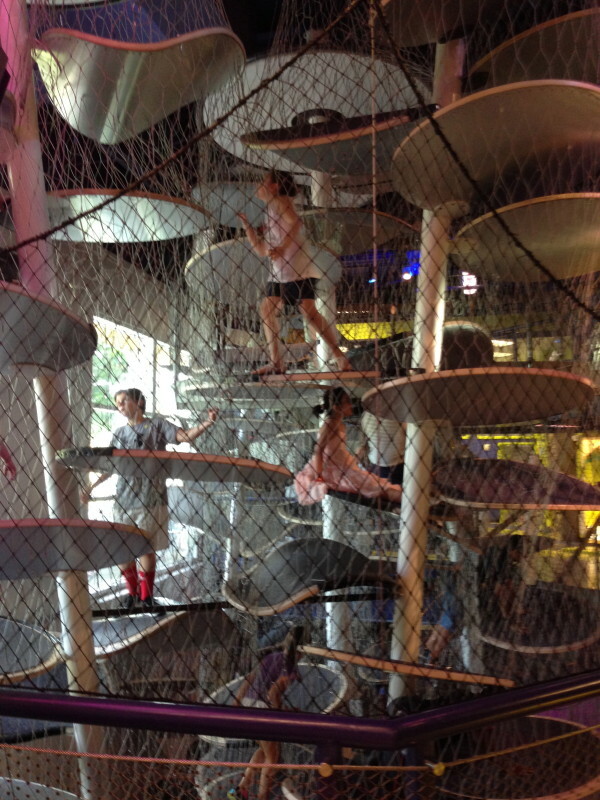 Its not easy to climb but doable and the kids absolutely loved it. I even snuck in to try it out. When you need some fresh air you can head out to FlowWorks, an outdoors water play place. FlowWorks is huge and a lot of fun. My kids loved changing the flow of water and racing boats with other kids. There are also fun water guns that fill up a giant bucket that eventually tips over. Warning: Your kids will be soaked by the time they are done playing. When heading to the Children’s Museum of Houston plan at least half a day there. You will be more than entertained. We literally stayed until we were told we had to leave. Even I was saying “can we have just 5 more minutes please”. After a busy day, you will be starving. 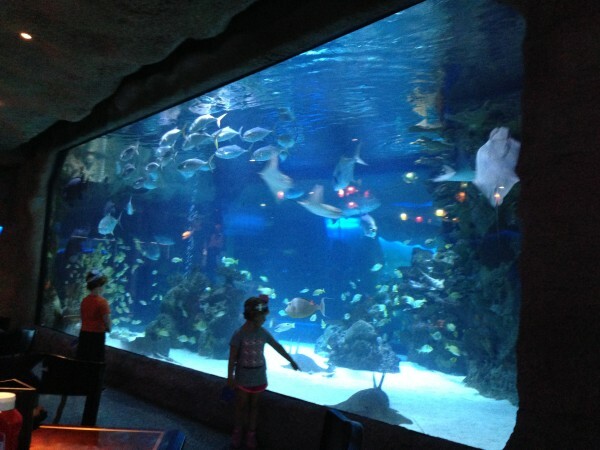 We headed to the Downtown Aquarium in Houston. I’ve said before that aquariums are not always my thing and this aquarium definitely was not my thing. That being said the restaurant is actually pretty good. We sat down for dinner in front of a large tank and ate fish. Okay it was a little weird but the fish was delicious. It was also nice to hit a kid friendly restaurant and not worry too much about the kids wandering around. Once dinner is done, skip the aquarium entirely and head outside. 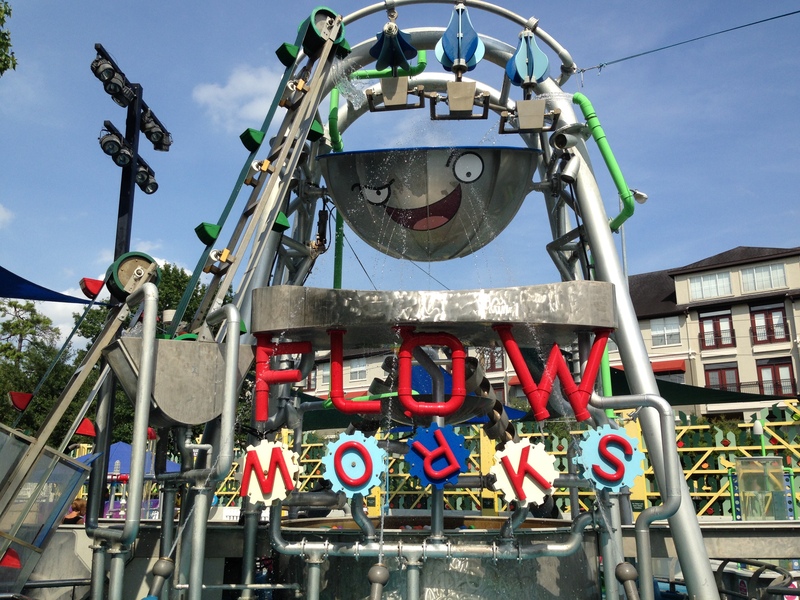 There is a free splash pad as well as some kid friendly rides that won’t cost you very much money but will get your kids tuckered out for bed. 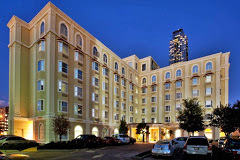 We stayed at the newly renovated Hotel Indigo in Houston and really liked it. Its not a particularly fancy hotel and is definitely kid and budget friendly. We loved the small cafe which turned into a pretty busy place at night. We also liked the set up of the room and the ocean motif. Note: I had the one of best breakfast I have had so far at this hotel. It didn’t even look like there was a restaurant in the hotel but the chef served up some of the best eggs benedict I’ve ever had. 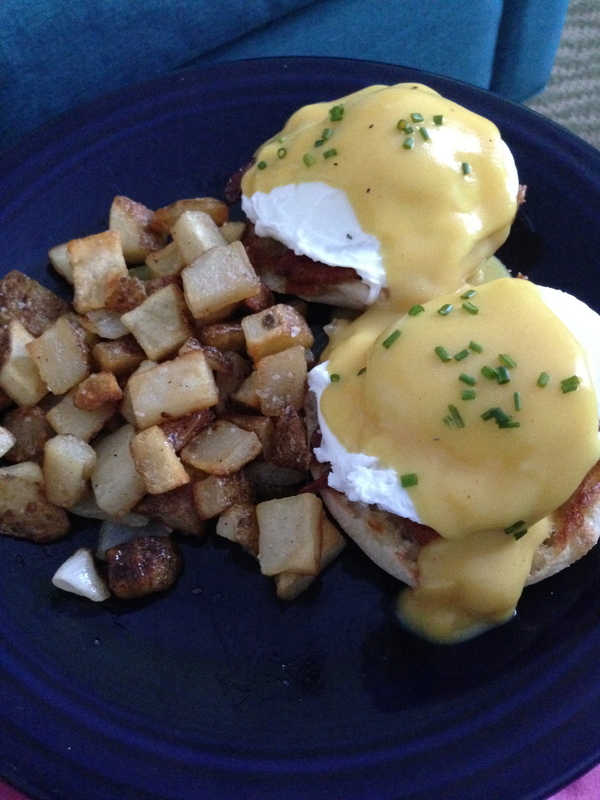 A great way to start the day before you head out to find fun for kids in Houston!